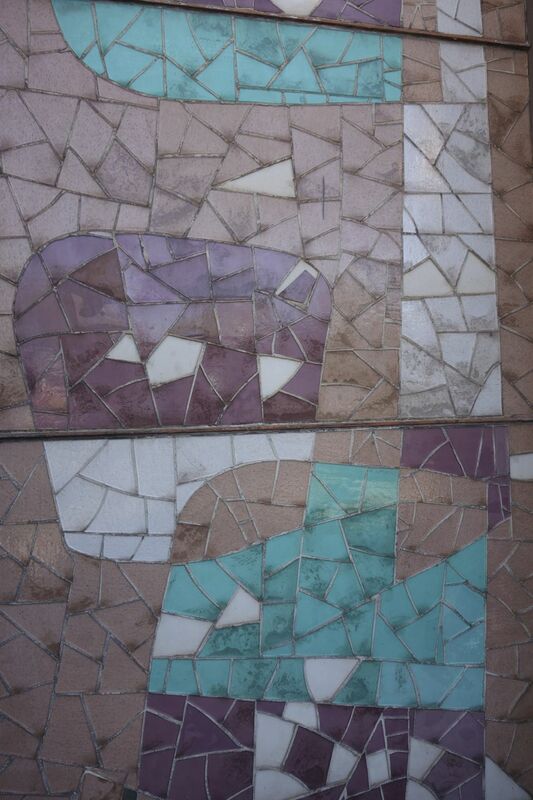 When Architect T. S. Montgomery designed Craftsman Court in 1955 a restaurant was never intended for the space. 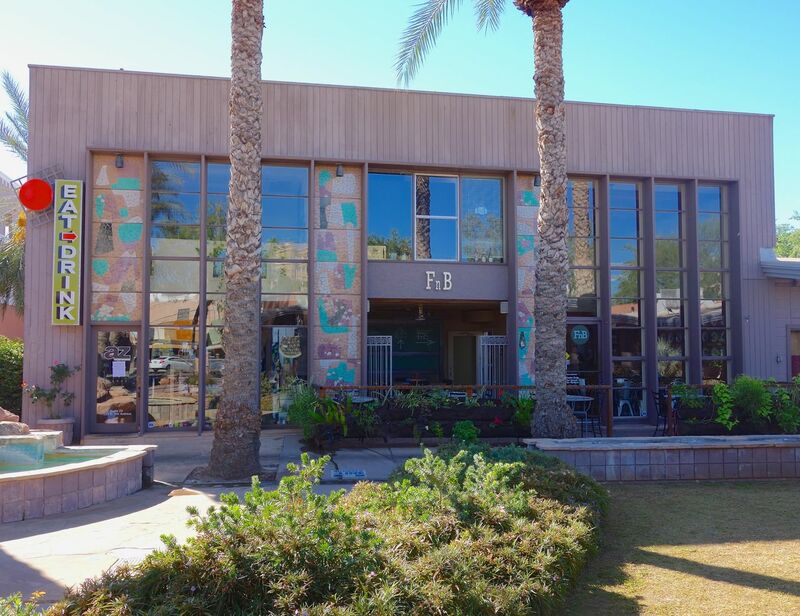 The complex originally housed demonstration craft studios, art galleries and architect’s offices. 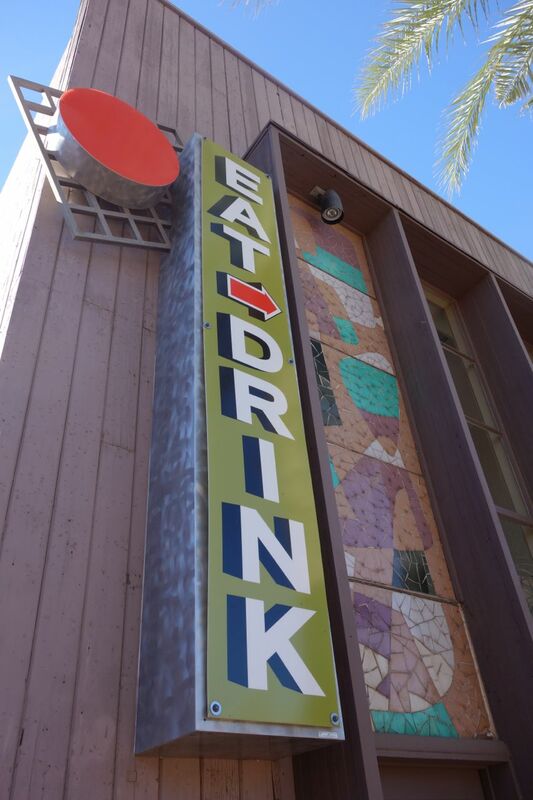 Today you’ll find there’s still art going on there…Culinary Art. 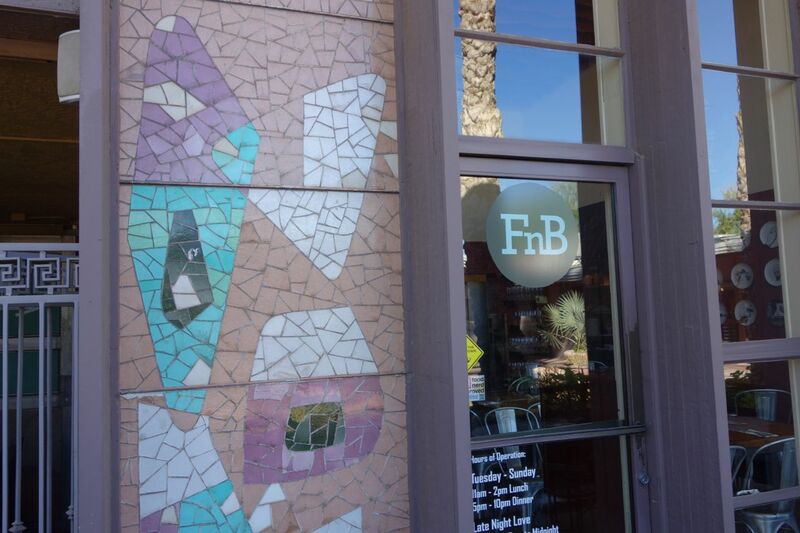 Restaurant FnB now occupies what once was a working glass studio. 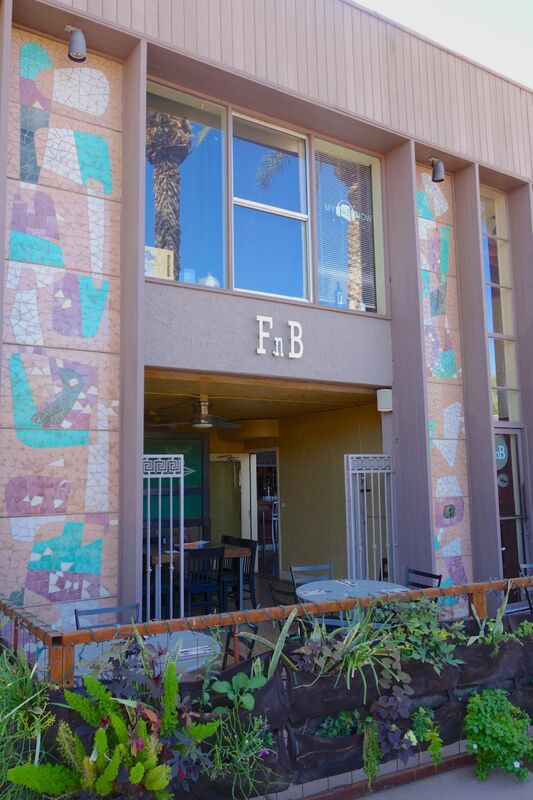 Restaurant FnB in an art studio? It’s a fitting home for an owner and chef who’s attention for detail, ingredients and flavors elevate food to ART. 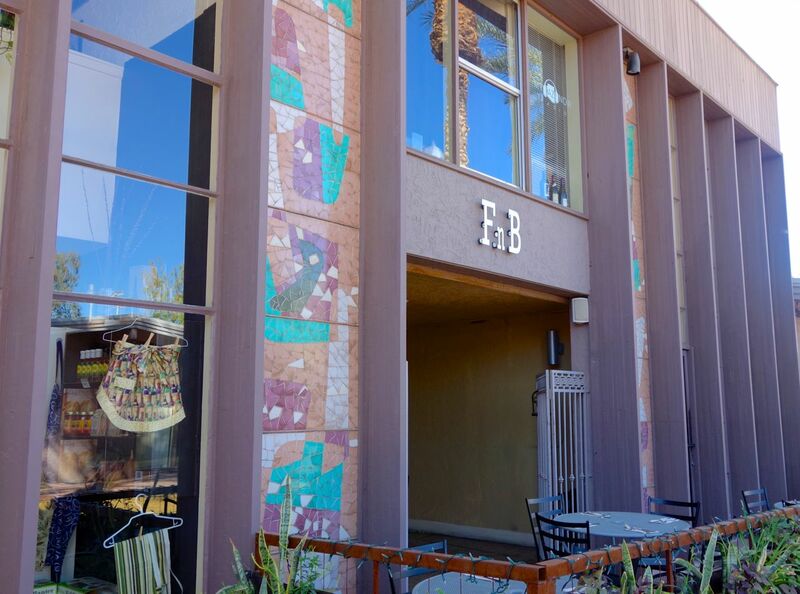 Pavle Milic and co-owner Chef Charleen Badman have built FnB into a clearly recognized force in cuisine. So when Pavle looked for a new space, it had to reflect a certain craft sensibility as well as more than a hint of urban-chic. 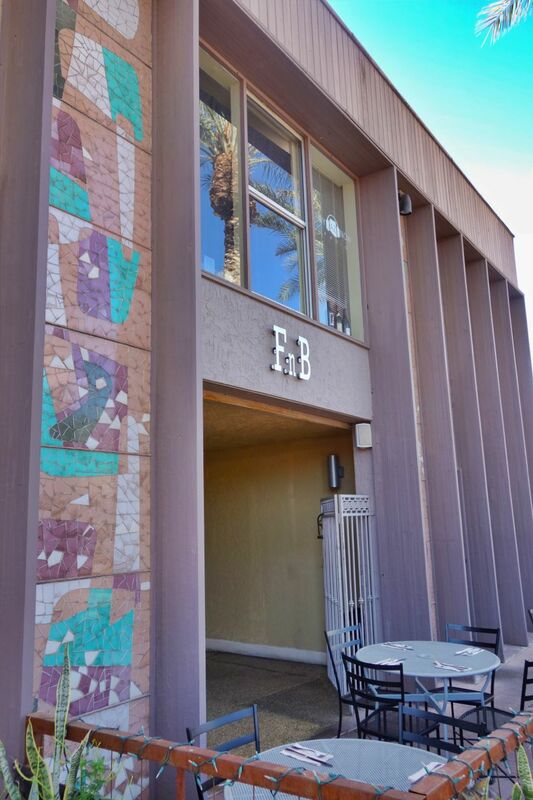 One of the original design functions of Craftsman Court, or the Kiva Center as it’s now known, was to take you off the street and immerse you in a world of design. How would that function for a restaurant we wondered? Which is exactly how we feel after finishing one of their great meals with their signature Butterscotch Pudding!